Above - The Original Gaiety Theatre, Strand, London, formerly the Strand Musick Hall - From 'The Sphere' 1950. 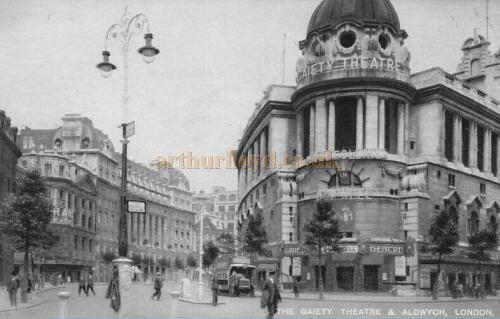 Above - The new Gaiety Theatre, Aldwych, which opened in 1903. 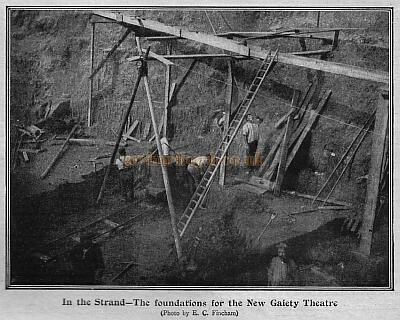 Above - The Illustrated London News in 1957 reports on the building soon to replace the 2nd Gaiety Theatre which closed in 1939 and was demolished in 1957 / 1958. 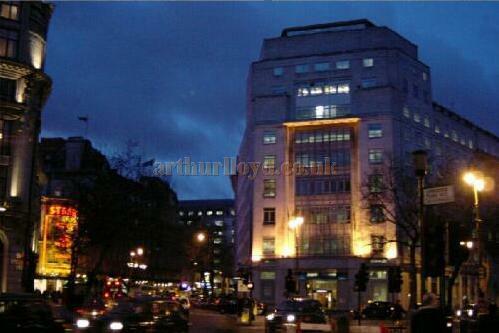 Click to Enlarge - See also Marconi House. Above - The English Electric Company building which replaced the 2nd Gaiety Theatre. In 2003 the building was owned by Citibank. Photo M.L. 03. 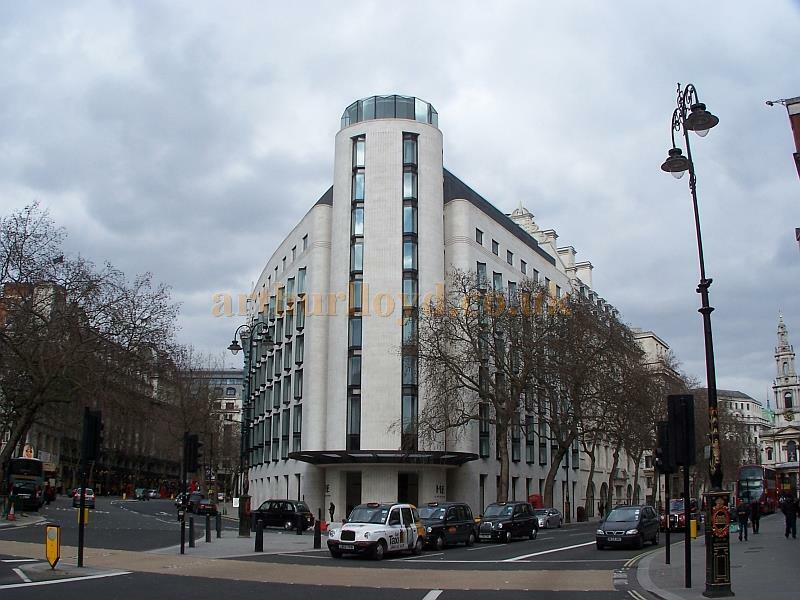 See also Marconi House. Above - The English Electric Company building which replaced the 2nd Gaiety Theatre. In 2003 the building was owned by Citibank. Photo ML 05. 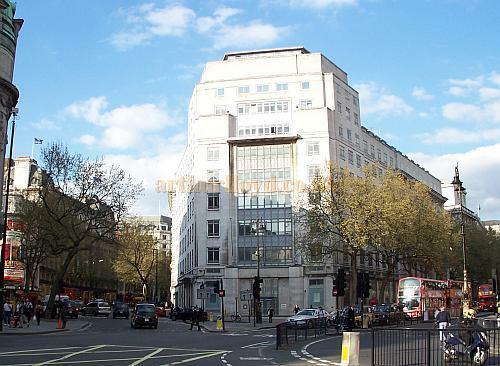 See also Marconi House. 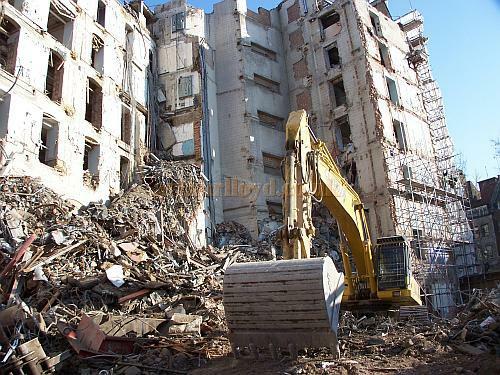 Above - The Citibank building being demolished to make way for a new hotel in 2005 Photo ML 05. 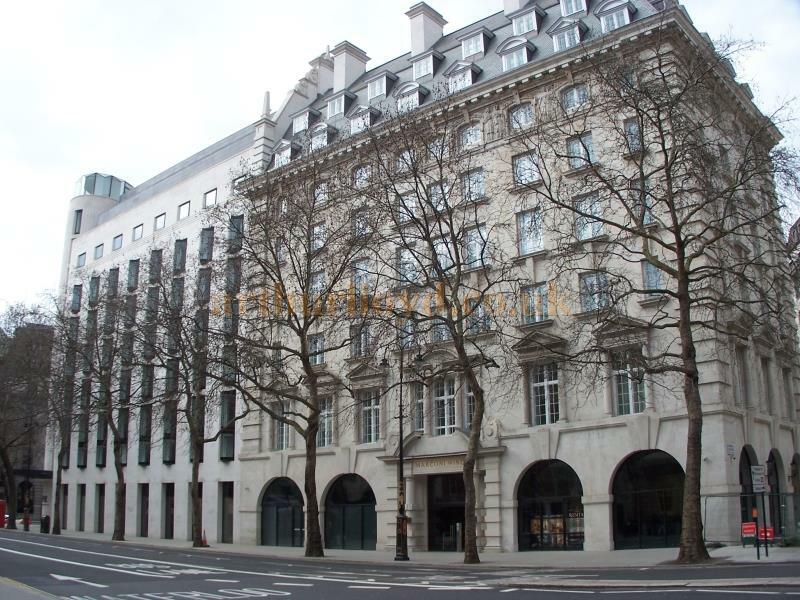 See also Marconi House.You may notice that some of the Plane Trees planted when the new Aldwych road scheme and Gaiety Theatre were first constructed in 1903 are still there in 2005, over a hundred years later. 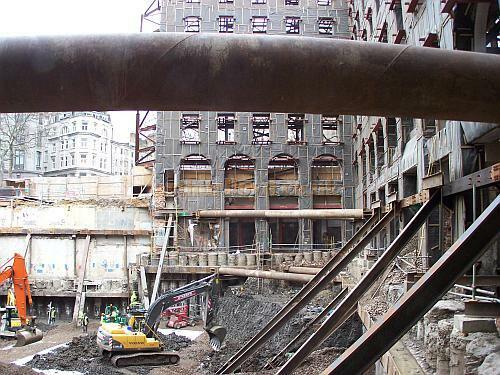 Above - The Citibank building almost completely demolished, in January 2006 - Photo ML 06. See also Marconi House. 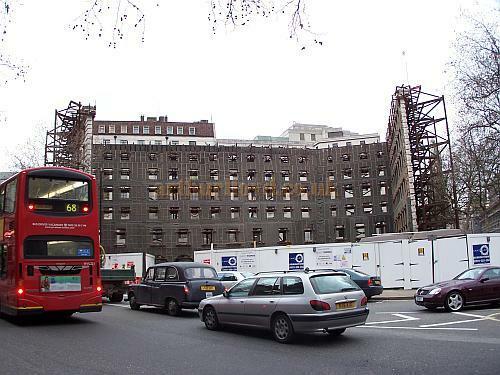 Above - The Citibank building being demolished, in January 2006 - Photo ML 06. See also Marconi House. 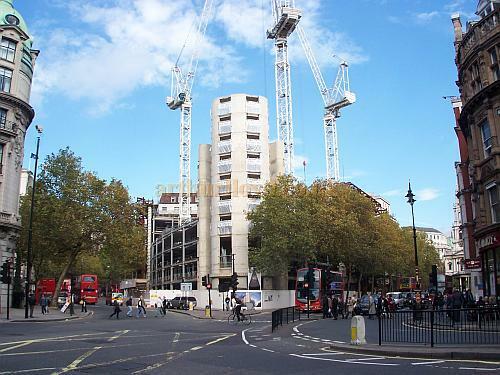 Above - The Citibank building is completely demolished and Ariel House / Marconi House is mostly gutted. 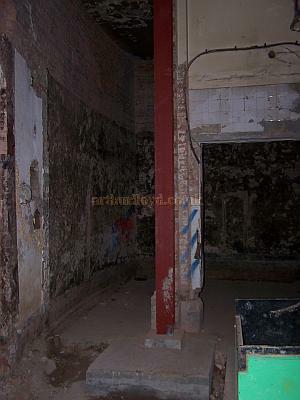 The former kitchens of the Gaiety Restaurant can be seen at ground level directly opposite the camera - December 2006 - Photo ML - Site access kindly granted by Lee Horsley, project manager for the demolition/temporary works/facade retention scheme at the former Citibank / Marconi House. 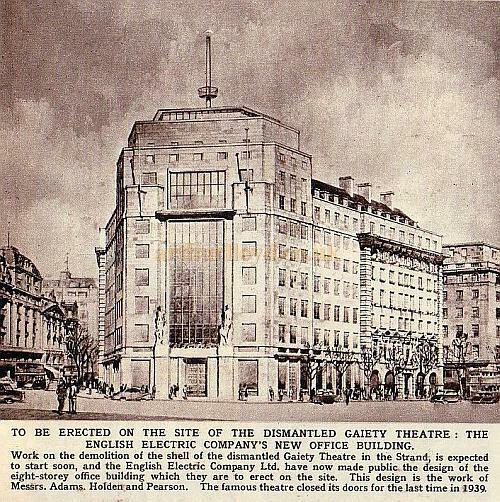 Behind the Citibank building, built on the site of the 2nd Gaiety Theatre, was the Gaiety Restaurant. The restaurant was not successful and closed down in 1908. 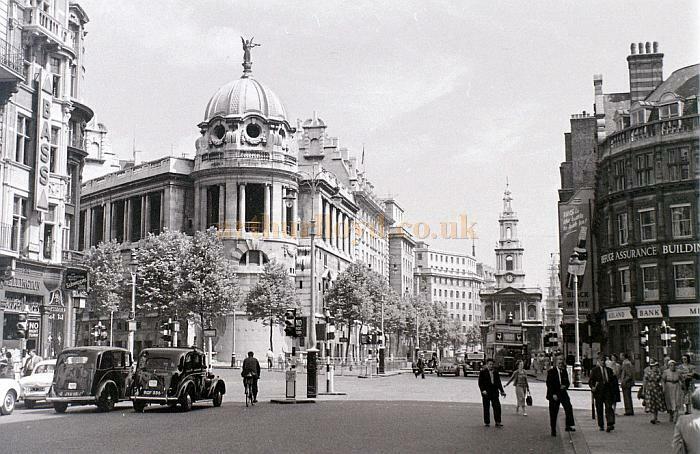 The building afterwards became the headquarters of the Marconi Wireless Telegraph Company and was known as Marconi House; later it became the headquarters of the Ministry of Civil Aviation when it was renamed Ariel House. 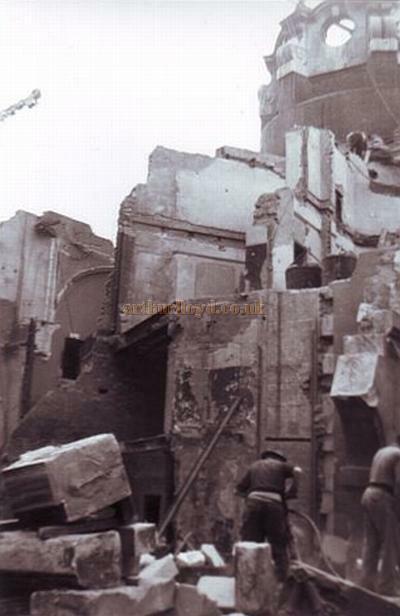 This part of the site is currently gutted leaving only the retaining walls in place. 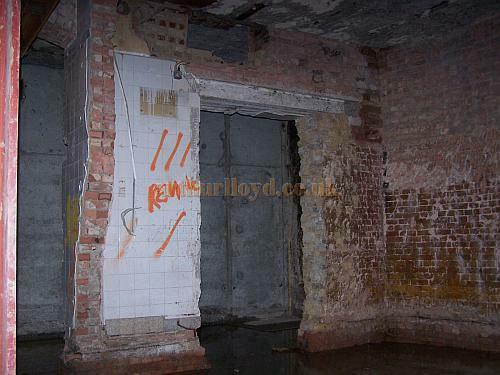 Above - Remains of the Gaiety Restaurant Kitchens in December 2006 - Photo ML - Site access kindly granted by Lee Horsley, project manager for the demolition/temporary works/facade retention scheme at the former Citibank/Marconi House. Above - The original entrance to Marconi House can be seen on the left of the site as the Citibank building has finished being demolished and Ariel House / Marconi House are gutted leaving only the retaining walls, in December 2006 - Photo ML 06 - Site access kindly granted by Lee Horsley, project manager for the demolition/temporary works/facade retention scheme at the former Citibank/Marconi House.. 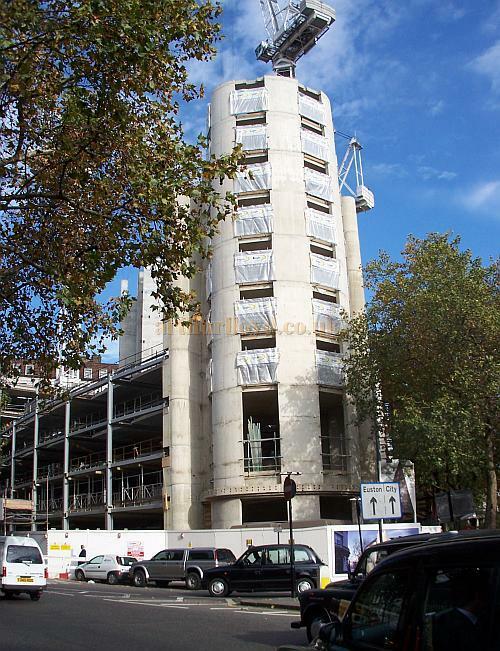 Above - The Citibank building is completely demolished and Ariel House / Marconi House is mostly gutted, only the retaining walls remaining in December 2006 - Photo ML - Site access kindly granted by Lee Horsley, project manager for the demolition/temporary works/facade retention scheme at the former Citibank/Marconi House. 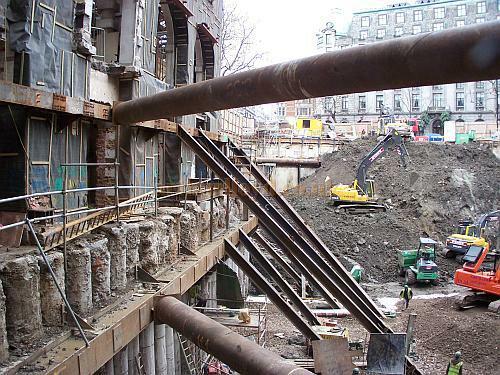 Above - The Citibank building is completely demolished and only the retaining walls of Marconi House / Ariel House, formerly the Gaiety Restaurant, remaining in December 2006 - Photo ML 06. 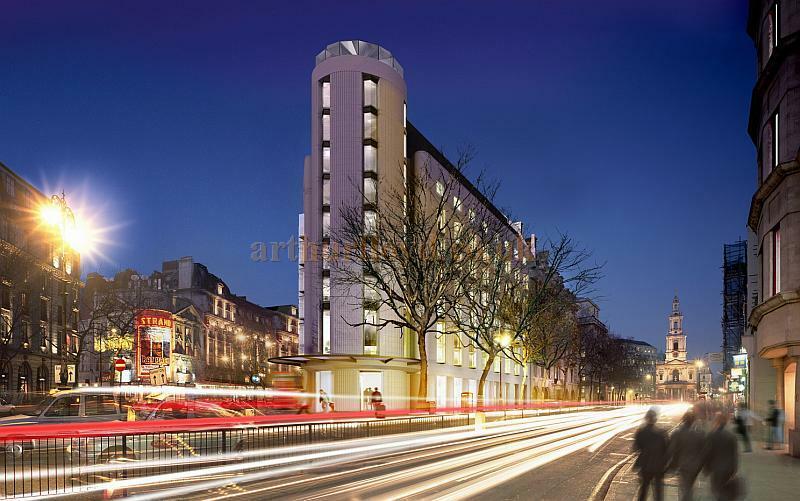 Above - An artist's impression of the proposed Silken Hotel, the first UK venture for the Spanish Hotel Group, which was originally intended to replace the Citibank building and the former Gaiety Theatre and Marconi House site - Courtesy Foster and Partners. 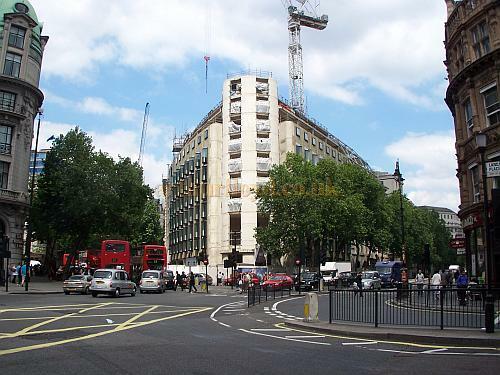 Work on the demolition of the Citibank site was completed on the 22nd of December 2006 and then construction began on the new Silken Hotel (see images below). 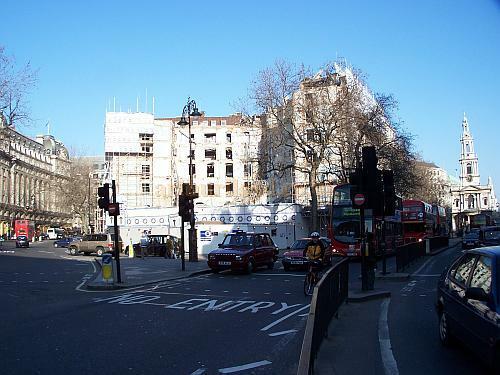 However, due to financial difficulties building work stopped on the construction in 2008 and years later the site and the partly constructed building were still on the market, and it was some time before a new use for the partially constructed building could be found. 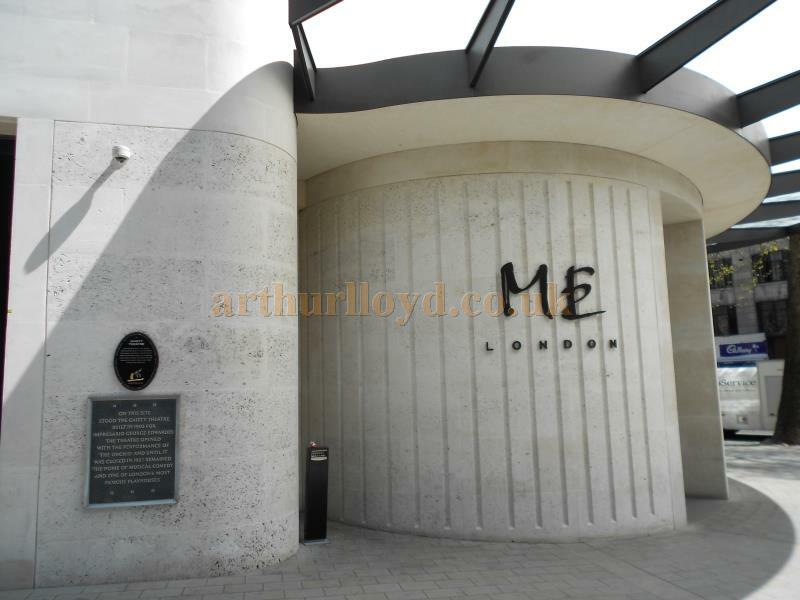 However, eventually construction did restart and the building has now been converted into private apartments and the ME London Hotel which opened on the 23rd of December 2012. 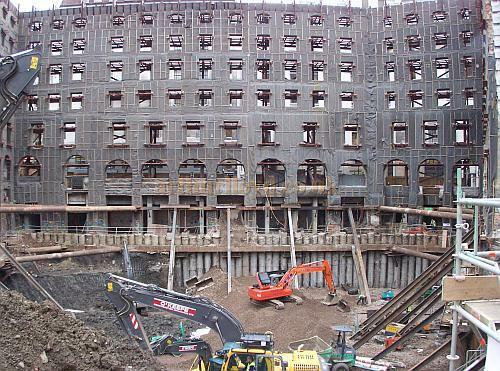 Above - The first section of the new hotel, built on the site of the Gaiety Theatre, rises from the ground in April 2007. Photo ML See also Marconi House. 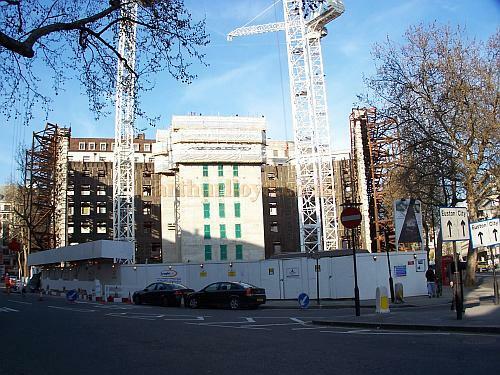 Above - The Hotel being constructed on the site of the former Gaiety Theatre and Marconi House in November 2007 - Photo M. L. 2007. 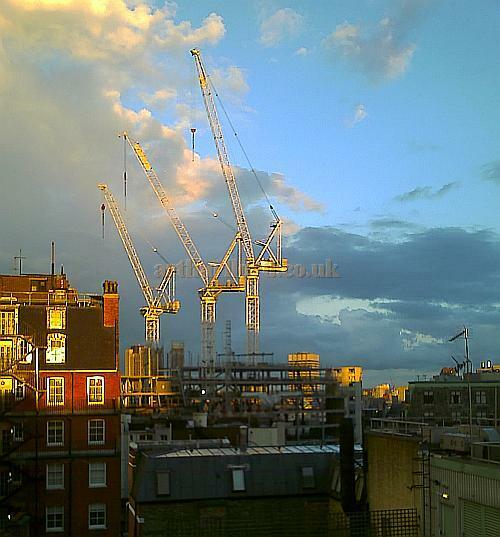 Above - The Hotel being constructed on the site of the former Gaiety Theatre and Marconi House from the roof of the Theatre Royal, Drury Lane in April 2008 - Photo M. L. 2008. Above - The Hotel on the site of the former Gaiety Theatre and Marconi House nearing external completion in July 2008 - Photo M. L. 2008. 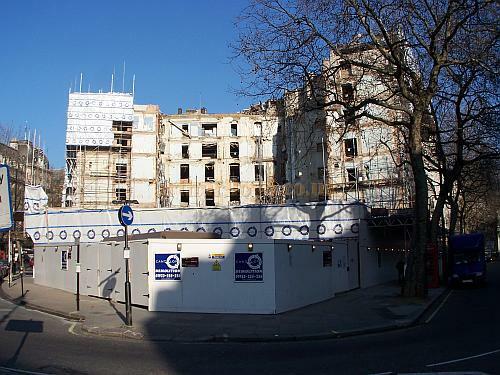 Building work on the Hotel was halted in 2008 when the developers went bankrupt. 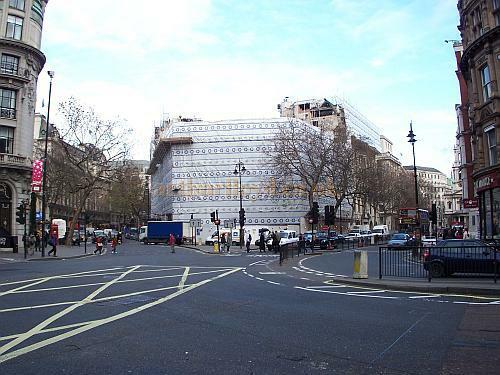 Years later the site and the partly constructed building, designed by Foster & Partners, were still on the market and it was some time before a new use for the partially constructed building could be found. 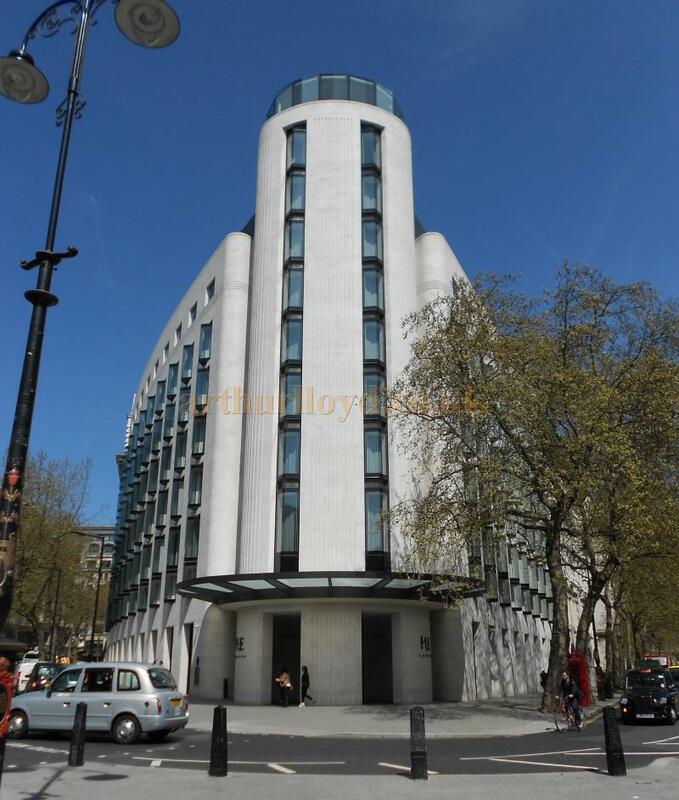 However, eventually construction did restart and the building has now been converted into private apartments and the ME London Hotel which opened on the 23rd of December 2012. Above - The ME London Hotel in March 2013. The Hotel opened on the 23rd of December 2012 and was built on the site of the former Gaiety Theatre, Gaiety Restaurant, and Marconi House. Above - The ME London Hotel in May 2013. The Hotel opened on the 23rd of December 2012 and was built on the site of the former Gaiety Theatre, Gaiety Restaurant, and Marconi House. 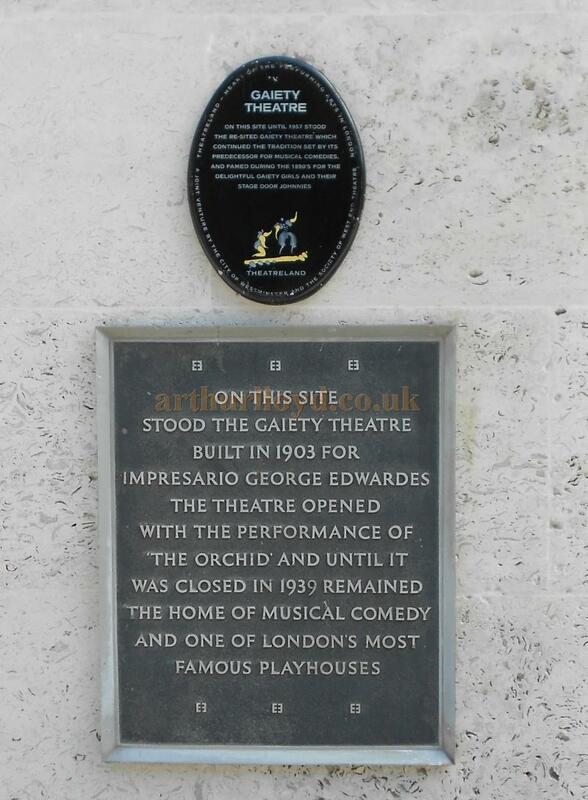 Above - Two Plaques commemorating the Gaiety Theatre now re-sited on the northern elevation of the new ME London Hotel in a photograph taken in May 2013. The Hotel opened on the 23rd of December 2012 and was built on the site of the former Gaiety Theatre, Gaiety Restaurant, and Marconi House. Above Two Plaques commemorating the Gaiety Theatre now re-sited on the northern elevation of the new ME London Hotel in a photograph taken in May 2013. 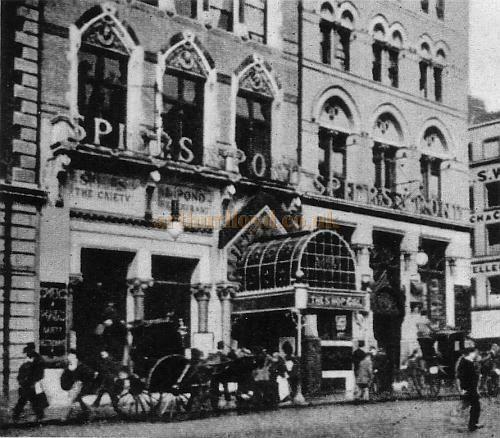 The Hotel opened on the 23rd of December 2012 and was built on the site of the former Gaiety Theatre, Gaiety Restaurant, and Marconi House.